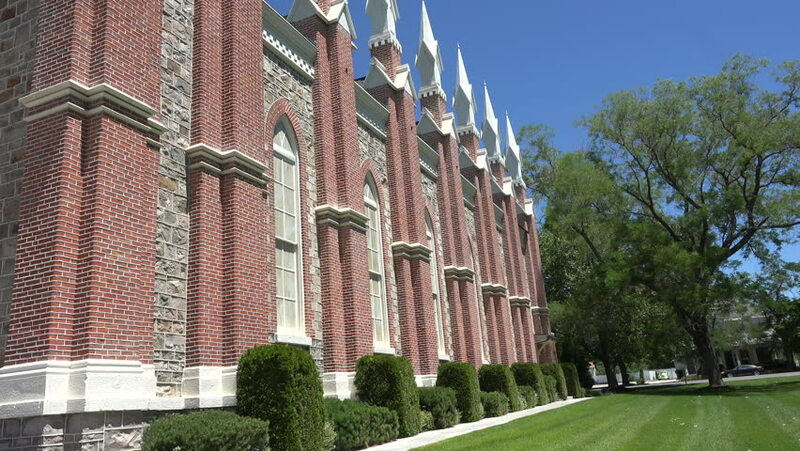 BRIGHAM CITY, UTAH - JUN 2015: Brigham City Utah Tabernacle tilt up to steeple 4K. The Church of Jesus Christ of Latter-day Saints. 85,000 missionaries and a membership of over 15 million. Built 1890.